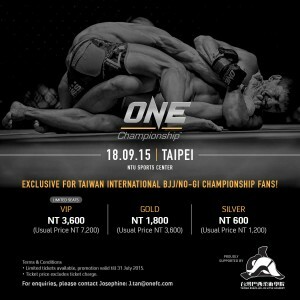 You can get a 50% discount off ONE Championship Tickets or a free ticket if you’re a 2015 Taiwan International BJJ / No-Gi Championship competitor! Please reading the following for details. October 11th is the last day to check the registration. All athletes and instructors must check the fighters list. There were 130 competitors in 2013 and more than 230 competitors from 10 countries last year. Now, there are already over 130 people registered for this year’s tournament with three weeks still left before the registration deadline. Check out the recap from last year’s tournament. 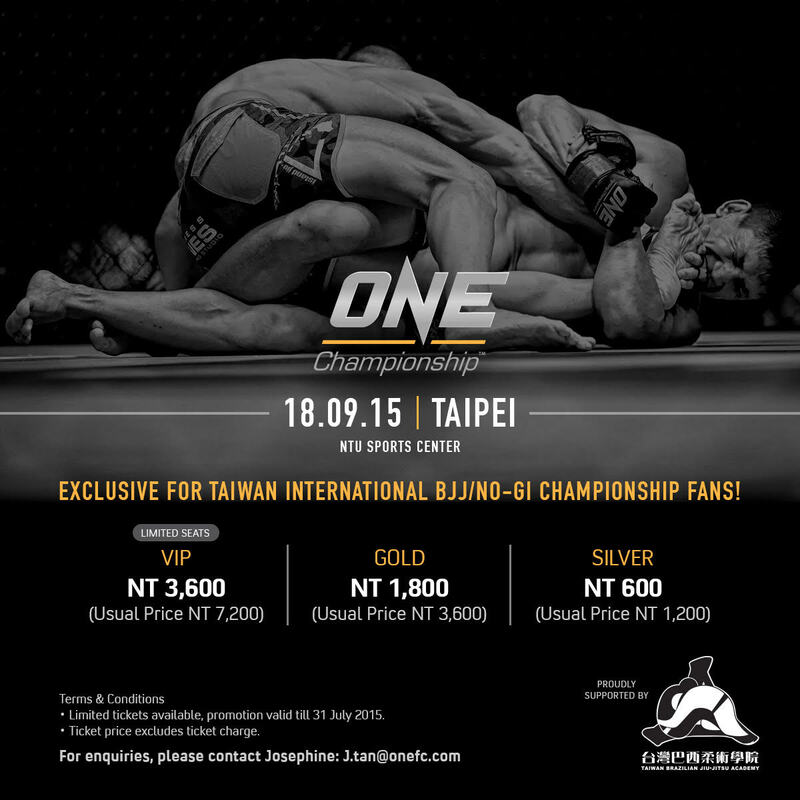 Thanks to ONE Championship for supporting all competitors with a gift! Thanks to our cooperative partner ONE Championship (Asia’s largest sports media property with a global broadcast of over 1 billion homes across 75 countries) for supporting all competitors in this tournament! 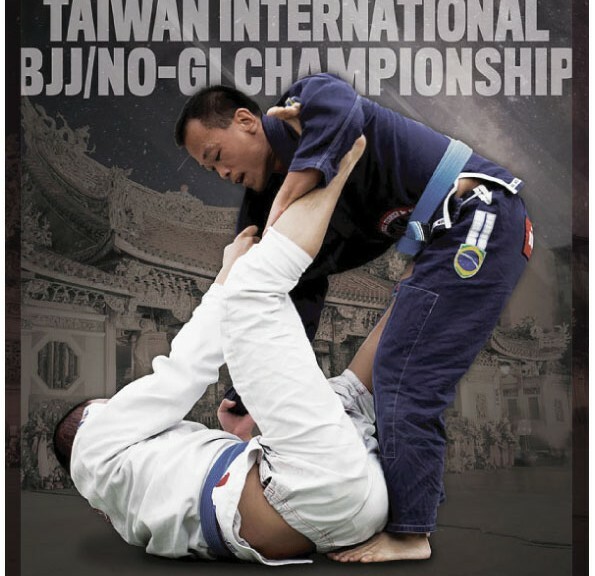 1) ALL 2015 TAIWAN INTERNATIONAL BJJ/NO-GI competitors will receive 1 PAIR of FREE tickets to a ONE Championship event in Taiwan or in the city of their choice. 2) All spectators will receive 50% off ONE Championship tickets in the city of their choice. 3) We will also be giving ONE Championship souvenir packs to the first 200 competitors who register. So PLEASE register NOW!!!!!!!!!! 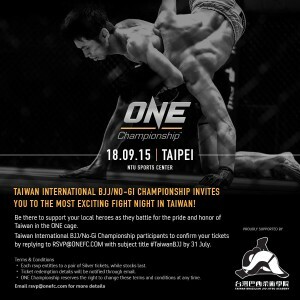 ALL 2015 TAIWAN INTERNATATIONAL BJJ/NO-GI competitors will receive 1 PAIR of FREE tickets to a ONE Championship event in Taiwan or in the city of their choice. 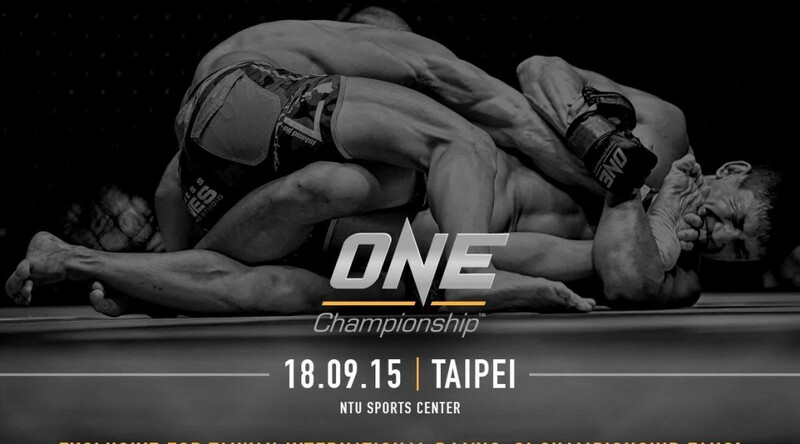 All spectators will receive 50% off ONE Championship tickets in the city of their choice. We will also be giving ONE Championship souvenir packs to the first 200 competitors who register. So PLEASE register NOW!!!!!!!!!! Don’t miss the early bird again! Don’t miss your chance to save on the registration fee!! The deadline for the second Early Bird Registration is 6/25. This is your last early bird chance! Don’t miss it again! September 14th is the last day to check the registration. All athletes and instructors must check the fighters list. 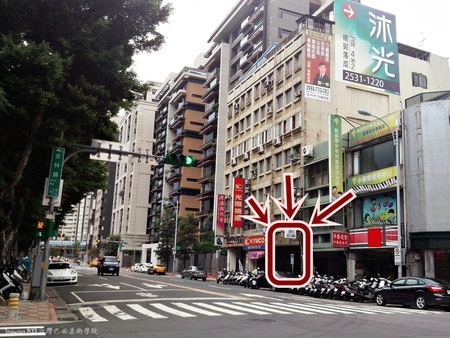 After more than seven years near the Taipei City Hall MRT station, Taiwan BJJ in Taipei will be moving to a new, bigger and better location!